By studying Environmental Sciences, you will equip yourself with the knowledge and problem-solving abilities to tackle some of the world’s most challenging environmental problems. Our natural resources need to be managed sustainably. 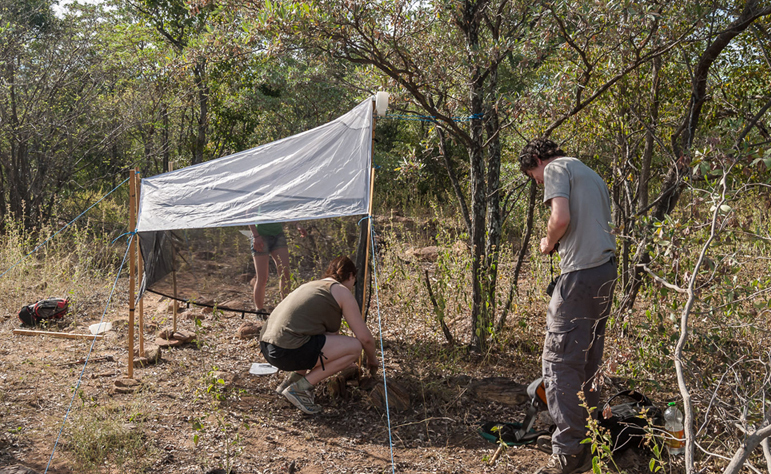 Environmental Sciences is a multidisciplinary subject that focuses on understanding and mitigating the impact of human populations on natural systems and processes. The degree in Environmental Sciences is taught through all four Disciplines in the School of Natural Sciences together with contributions from the School of Engineering. The degree structure is designed to provide for the needs of students with an interest in this rapidly developing academic and professional field. The degree programme comprises specially designed modules plus suitable modules from the contributing Disciplines. Strong emphasis is placed on students acquiring practical laboratory and field skills. There is ample choice within optional modules for a selection which reflects a particular student’s interests. Please take a look at the course handbooks for our third and fourth-year programmes. Field work is a core component of the course structure. Students attend field courses in both their Junior (third) and Senior (fourth) Sophister years. There are field courses to choose from in a wide range of modules, taking place throughout Ireland, in the Canary Islands and Africa. Environmental Sciences is taught at TCD as part of a four-year Honours Degree. This begins with two years of a broadly-based science education (apply for TR060 Biological and Biomedical Sciences on the CAO form). Students select Environmental Sciences at the end of second (Senior Fresh) year. As a graduate in this area you will be able to take advantage of the worldwide demand generated by increasing environmental awareness. Our graduates pursue careers in conservation, resource management, waste management, environmental research, energy generation, environmental protection and environmental education. Many graduates move straight into environmental consultancy, while others find employment in NGO’s, national and local government departments, monitoring agencies, conservation bodies and analytical laboratories. It is also common for a number of our graduates to choose to further their education by pursuing postgraduate degrees in Environmental Sciences. In addition to discipline related skills, you will learn a number of transferable skills including oral and written communication skills and time management/self-organisational skills. You will develop IT skills, and learn how to use databases, statistical packages and web resources. You will work independently and as part of a team and have the opportunity to develop your problem-solving abilities. All of these skills will prove invaluable regardless of what career you pursue after college.